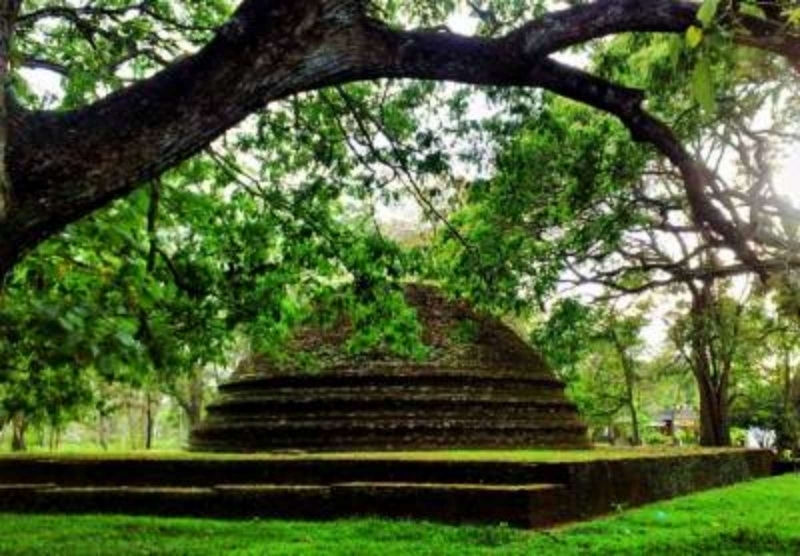 Panduwasnuwara is located 122 km away from Colombo in the Kurunegala district belonging to the north-eastern province of Sri Lanka. 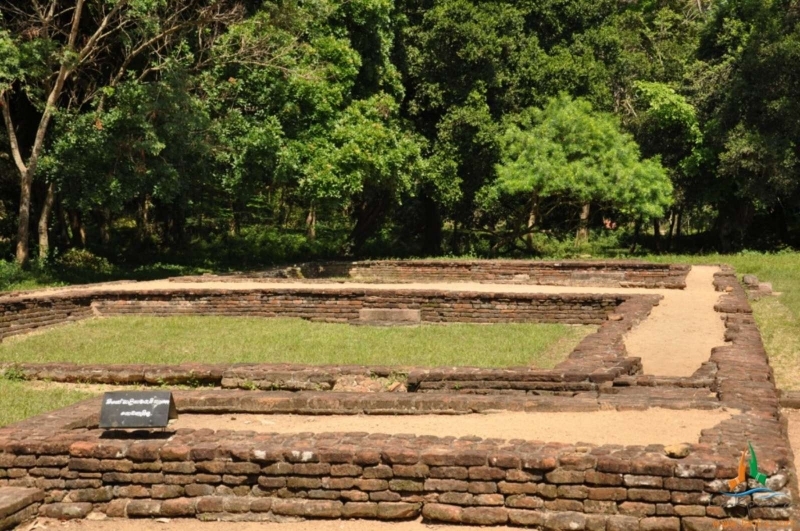 Panduwasnuwara, 27 km from Kurunegala can be reached by travelling along the Colombo – Chilaw main road and taking the turn from Madampe. 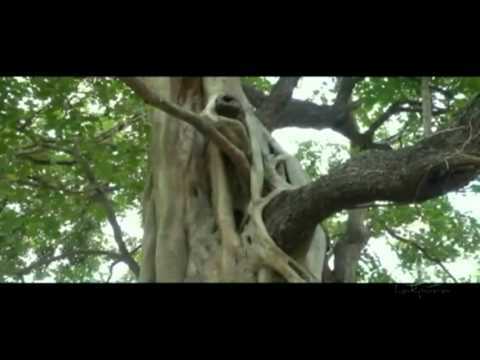 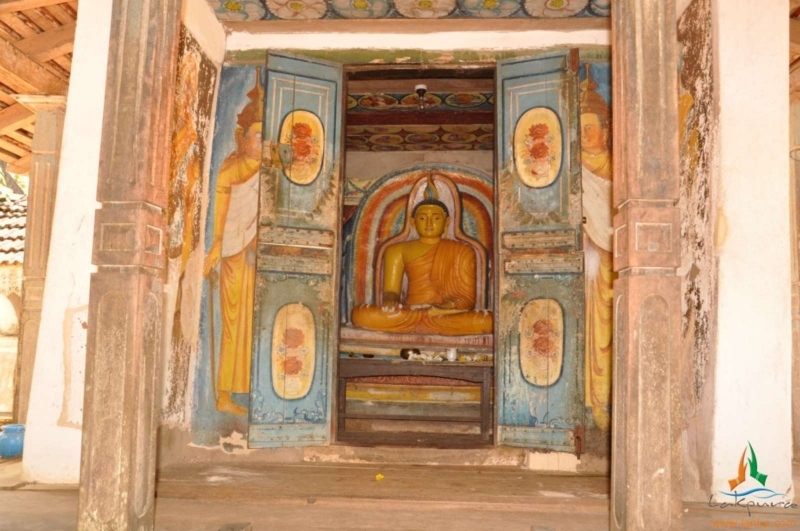 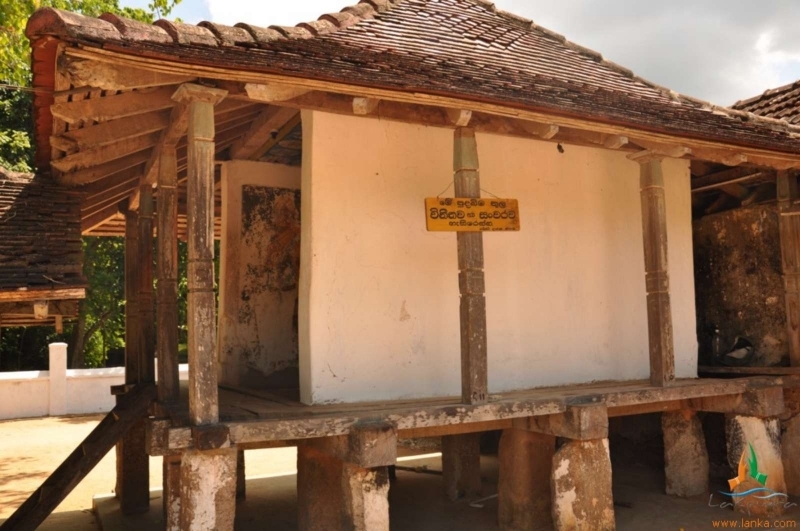 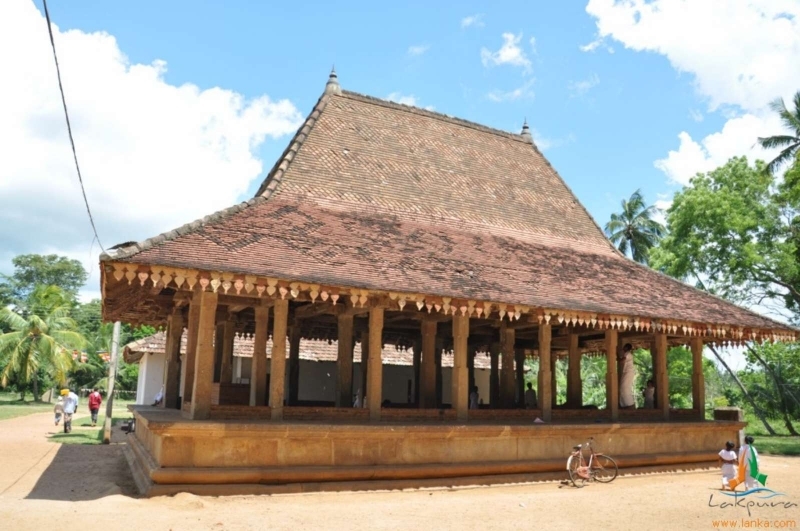 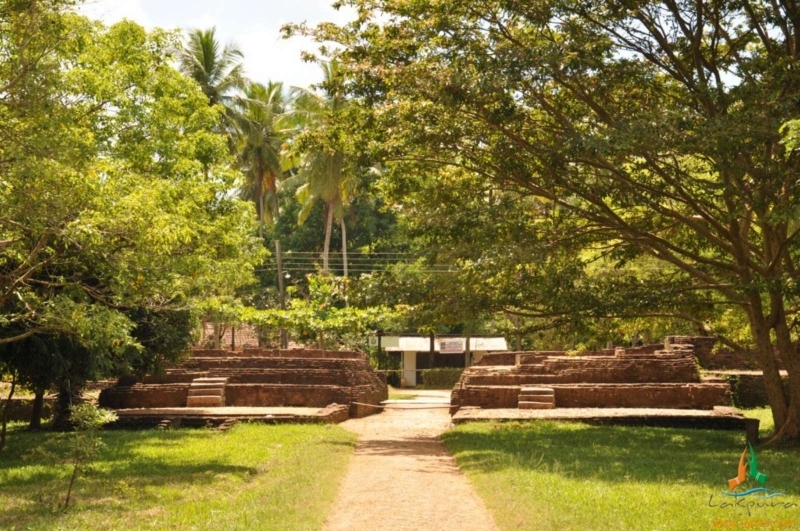 Panduwasnuwara is an off the beaten track minor cultural attraction of Sri Lanka. 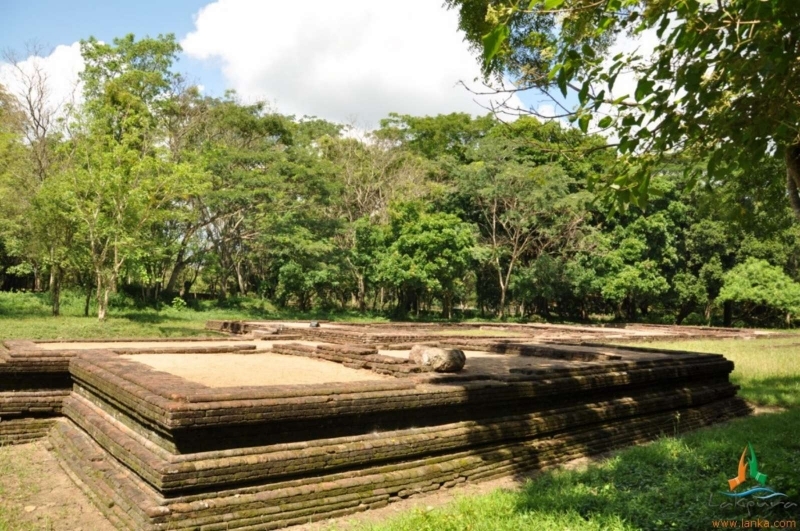 The site that spreads over an area of 20 hectares is scattered with some ruins of monuments built in 12th century AD. 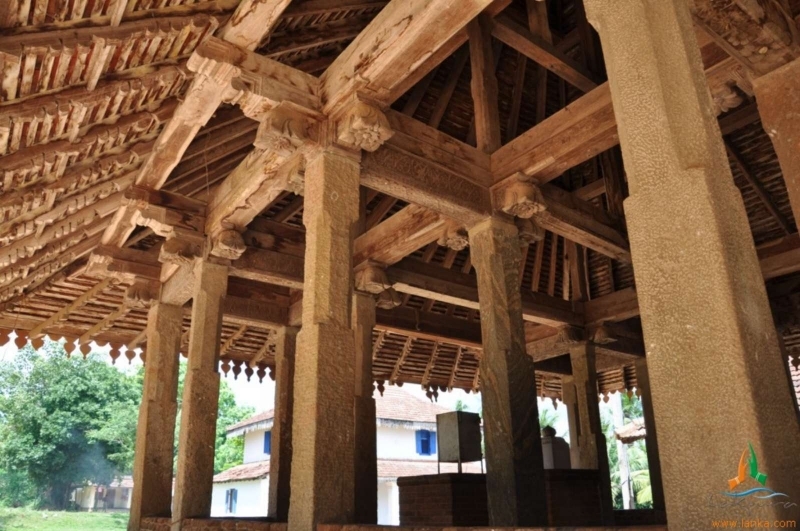 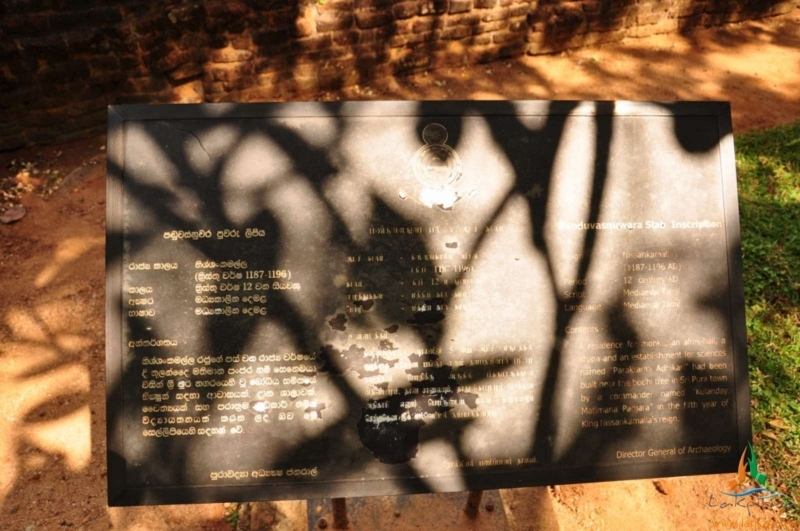 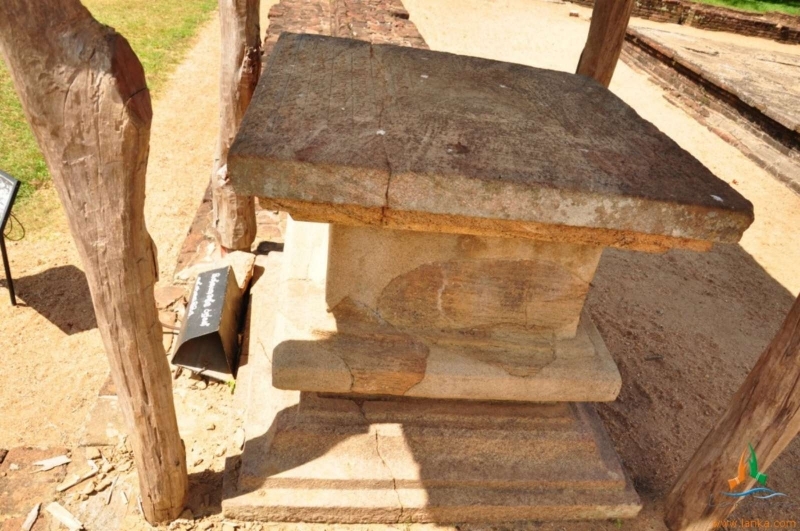 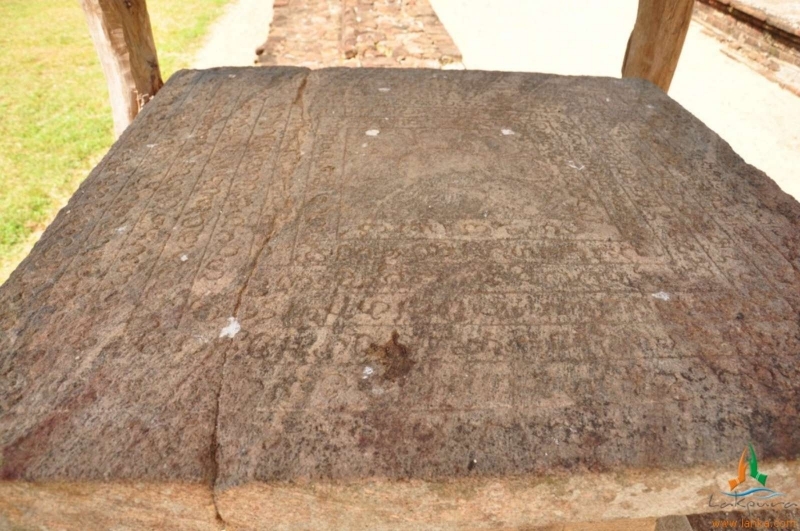 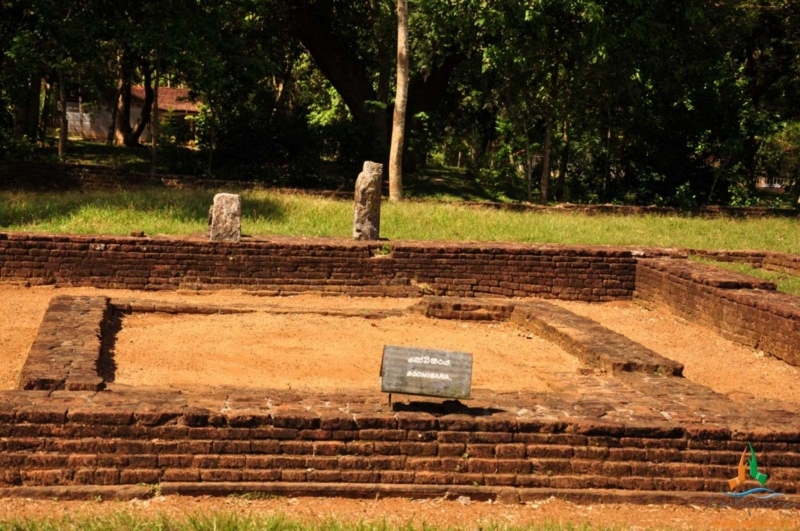 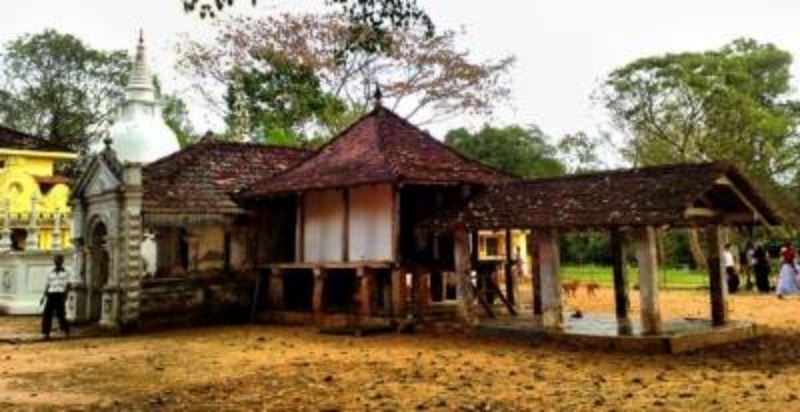 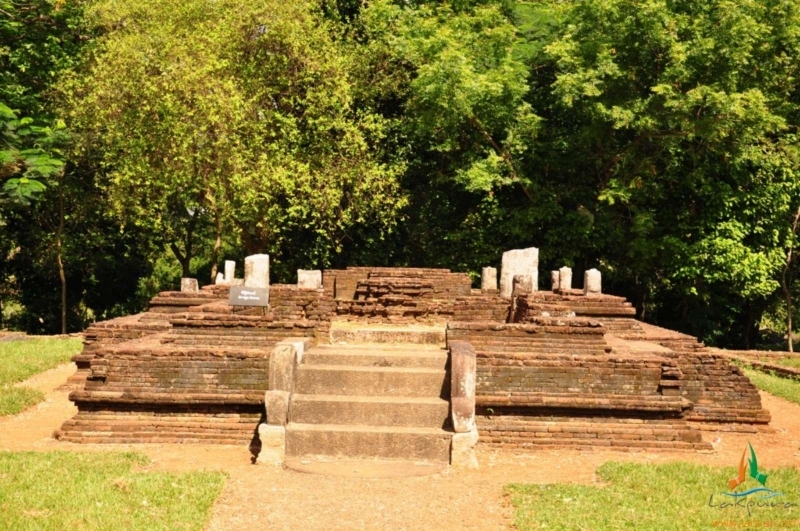 In spite of the significance of the ruins and the legends attributed to Panduwasnuwara, archaeological exploration hasn’t been completed to date. 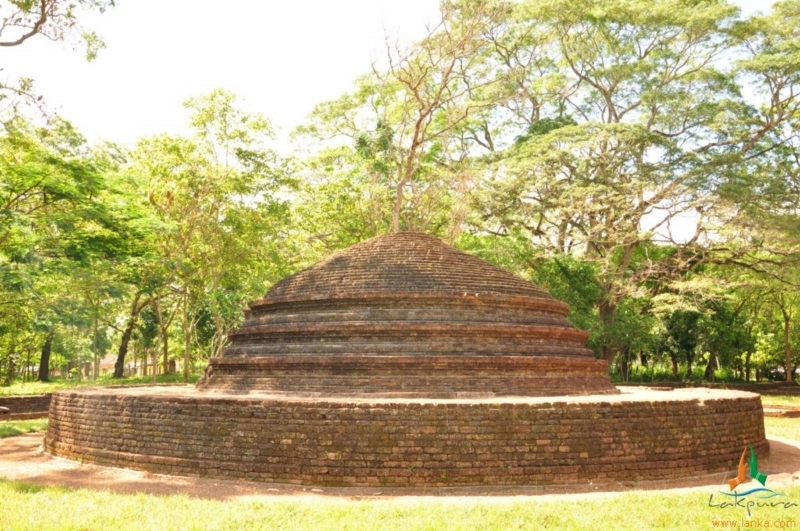 The nearby Panda Wewa reservoir located close to the ruins is perhaps the first ever irrigation reservoir in history. 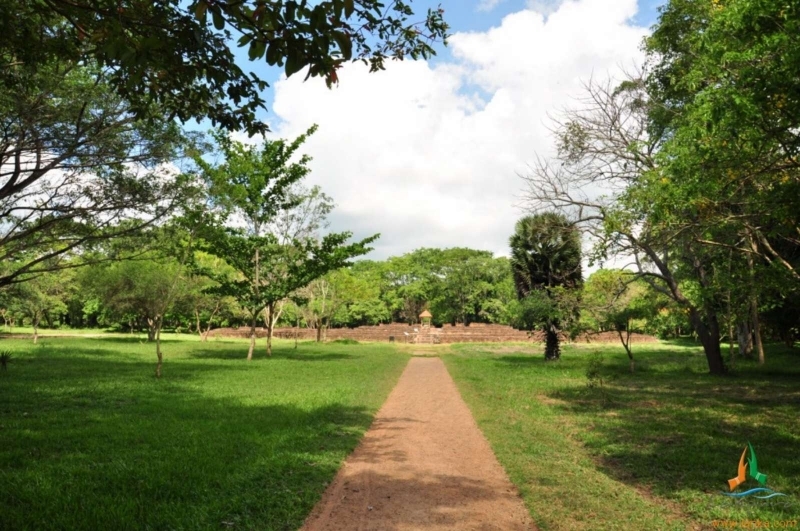 At the entrance to the site are a six meter wide moat and the ruins of a huge fortified wall. 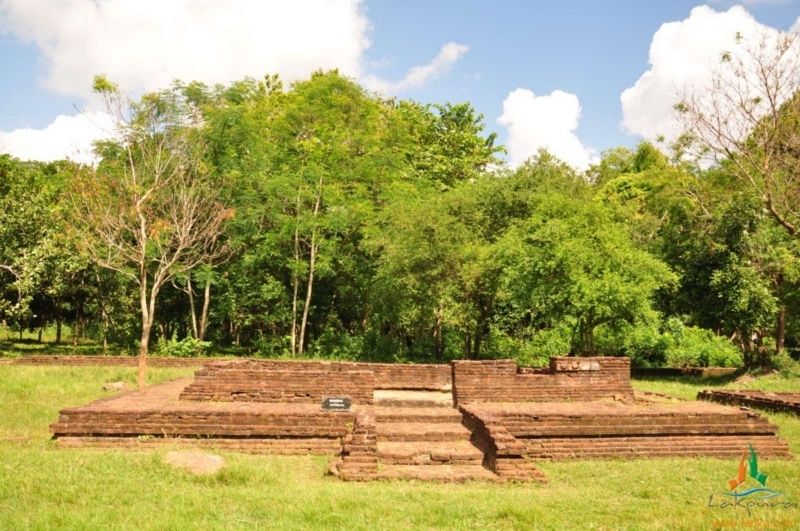 Within the compound is a cluster of ruins: edifices of significance called “panchayathana”, that feature stupas, bodhigaras (the short protective wall surrounding the Bo tree), monasteries and image houses (pilimage), assembly halls, and accommodation quarters for Buddhist monks. 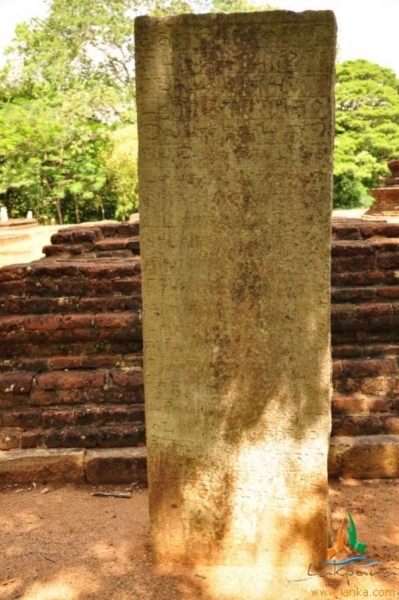 Furthermore, also existing at the site are ruins of the royal palace with carved pillars and guard stones and a stone inscription. 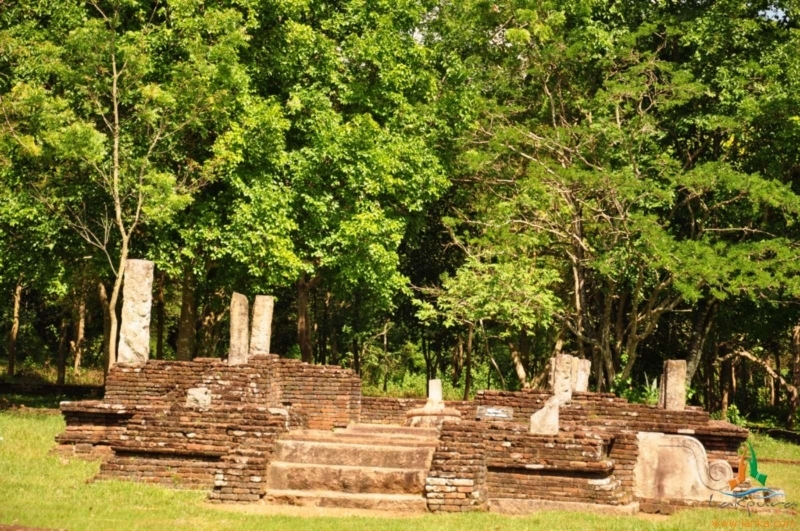 The ruins of the royal palace are comprised of two interconnected areas. 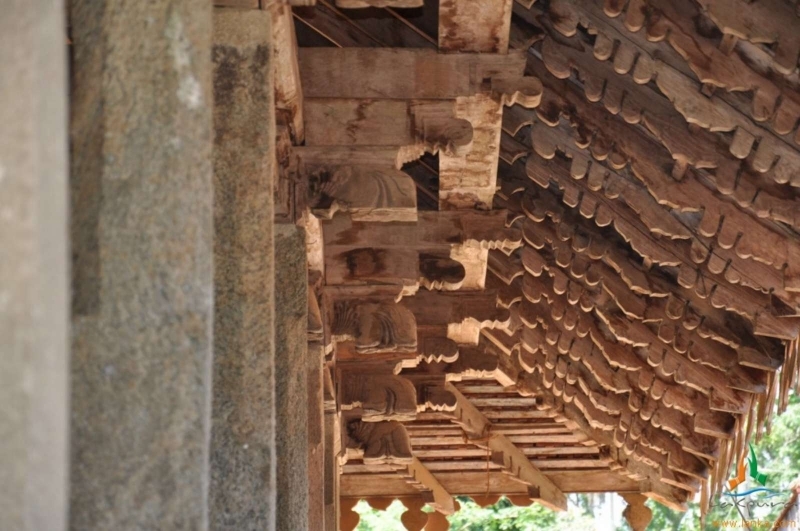 One is the inner compartment and the other is the outer living area. 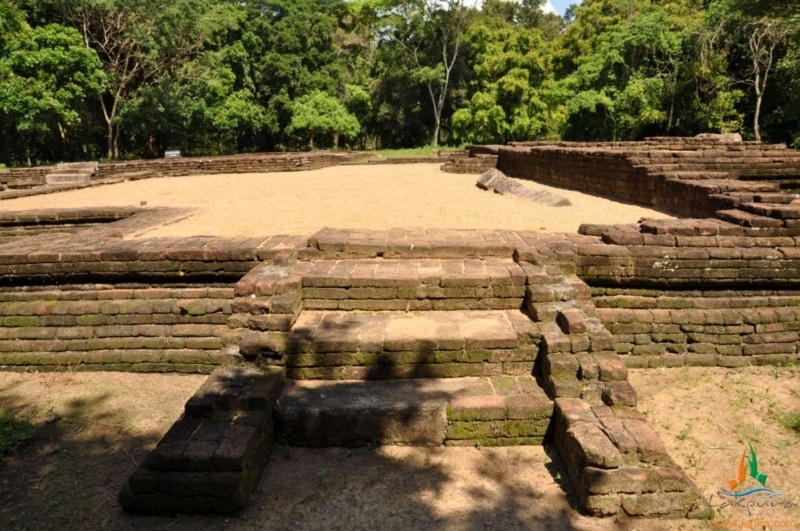 The hallway that leads to the palace has a small stage like structure to the right, most possibly where the throne was placed. 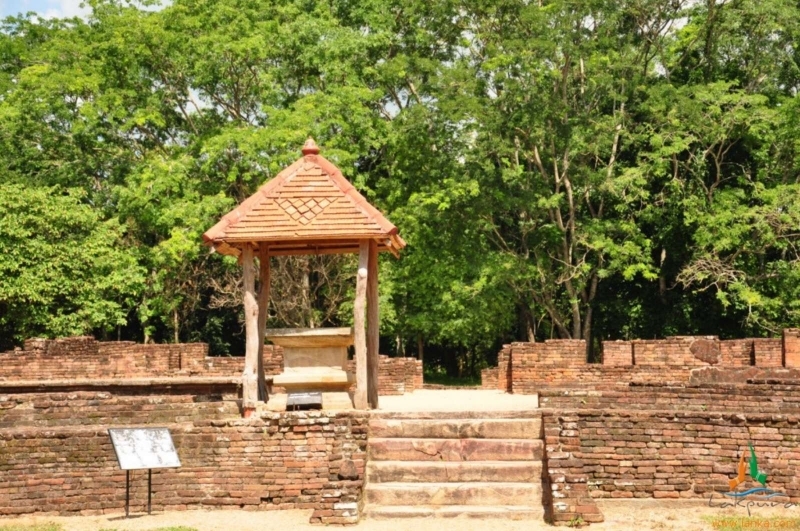 The royal palace also features 6 ponds. 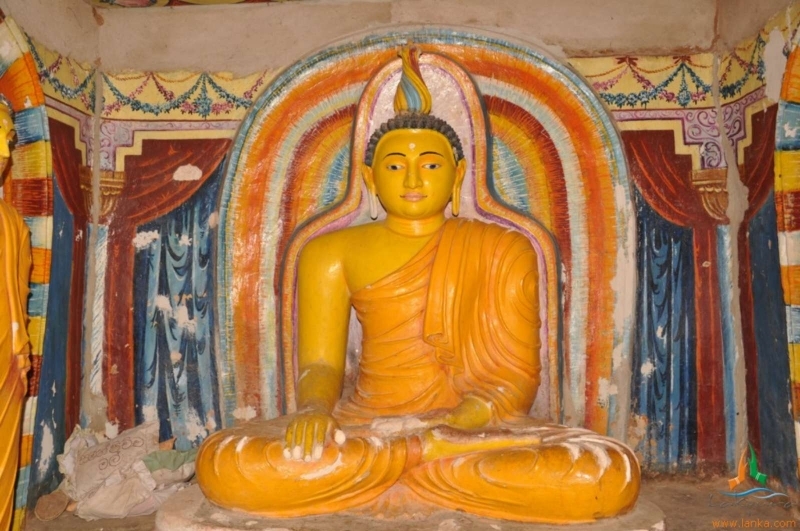 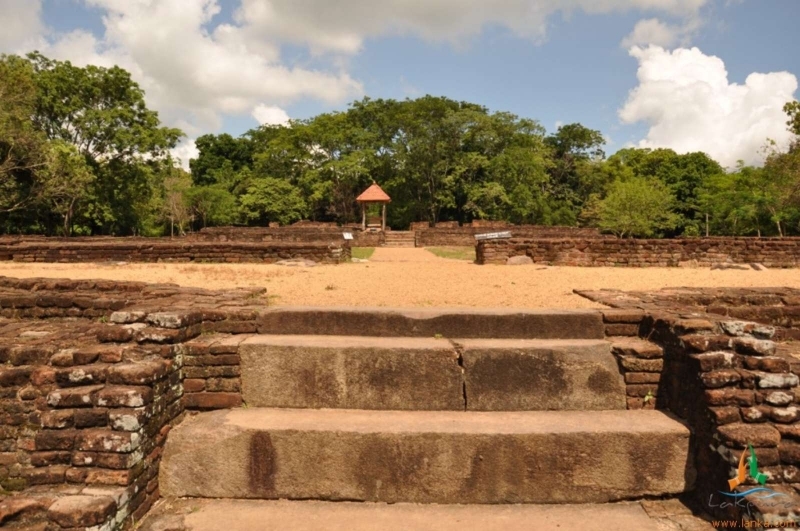 The city of Panduwasnuwara in Sri Lanka was established by King Panduvasudev, successor to King Vijaya, the founder of the nation in the fifth century BC. 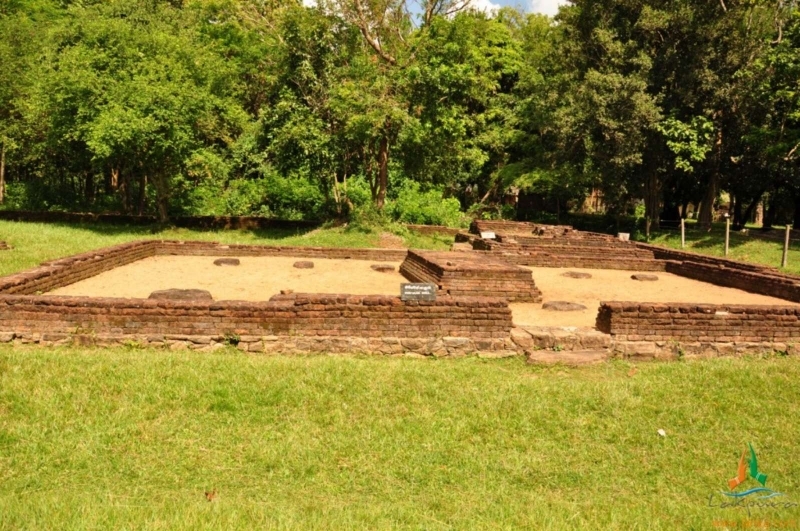 The ruins at the site belong to the 12th century when it was known by Parakramapura. 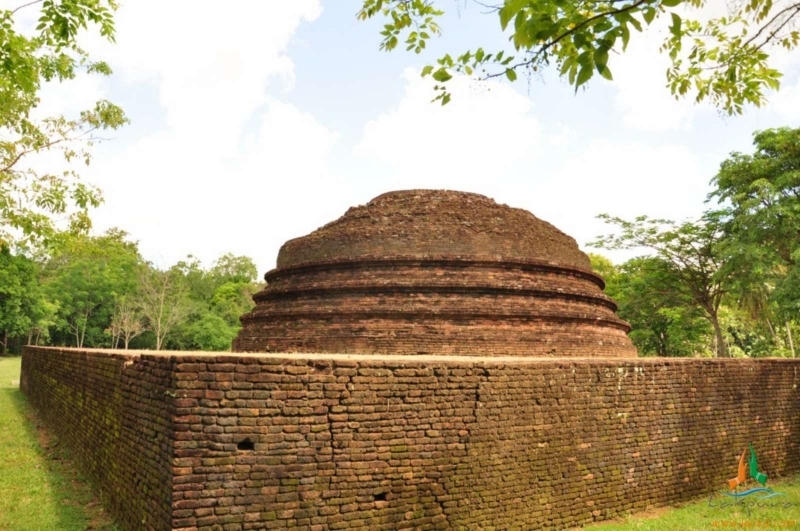 Even though the temple is one of the most important features of the ancient city, the highlight is the ruins of a round-shaped tower situated inside the circular moat. 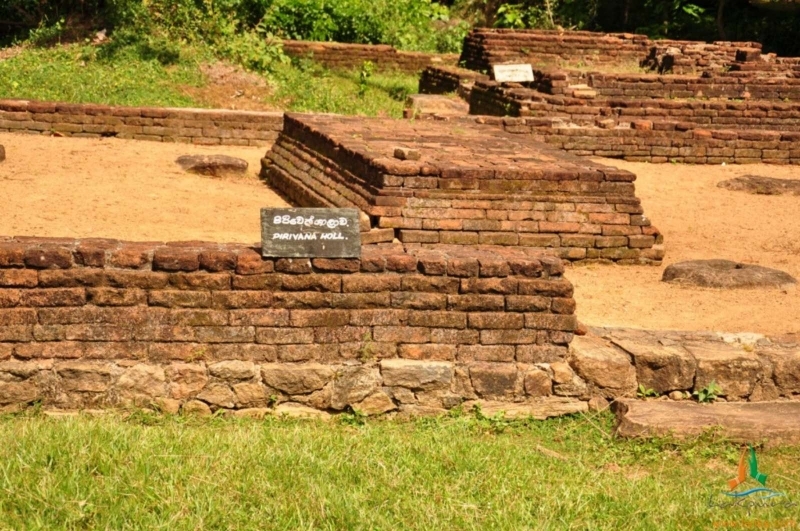 Ruins of this tower-like building called ‘chakkrawalaya’ built by King Parakkramabahu the great who reigned in the 12th century is entangled in the history of King Panduvasudev. 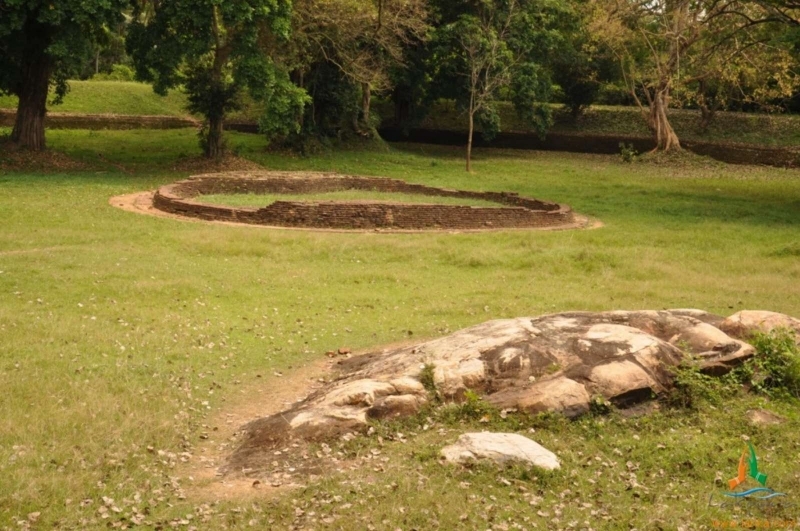 The circular area or ruins are believed to be that of the high tower, though archaeological excavations haven’t established the identity and purpose of same. 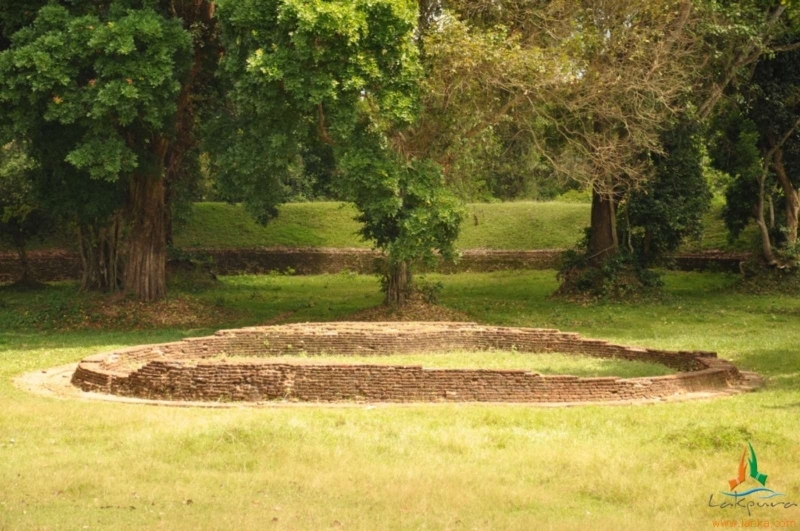 The wall with a width of 21 feet at the base was built of clay that has a diameter of 297 feet. 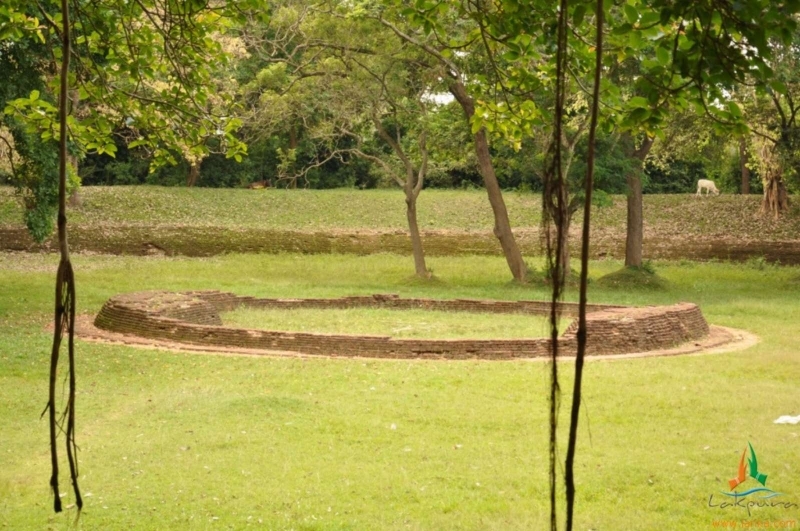 Within the tower was a series of concentric circles of clay walls. 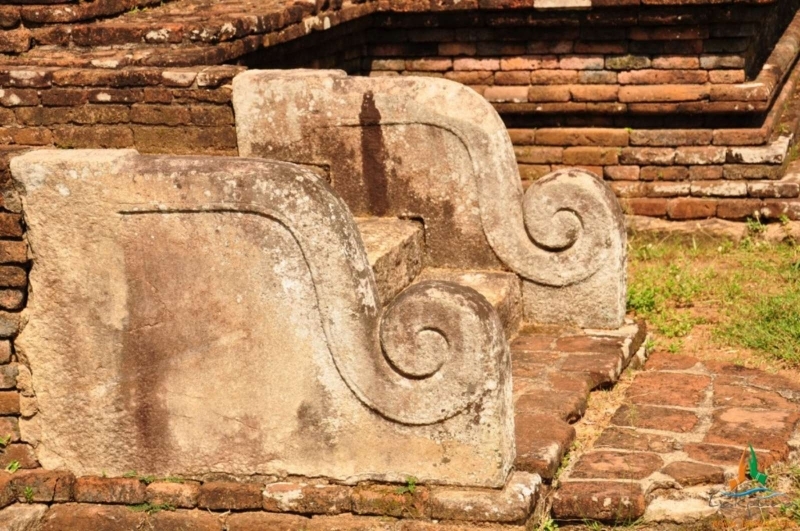 Within the innermost wall was a square chamber. 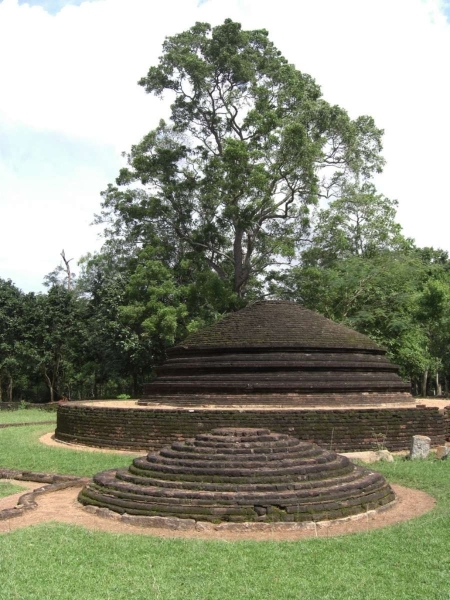 It is believed the tower featured several storeys during this historical era. 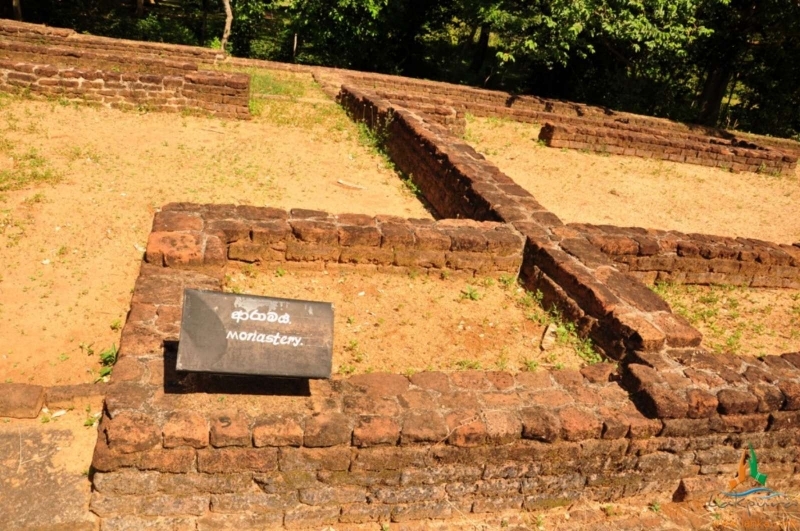 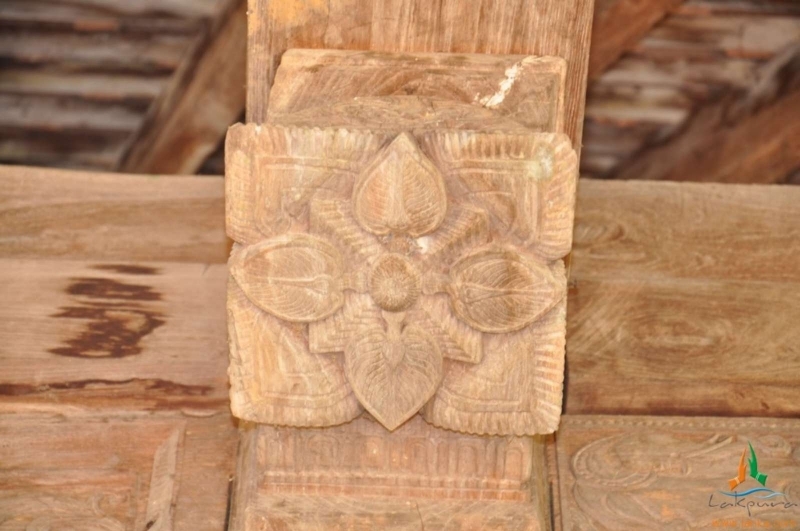 However, archaeological evidence suggests Panduwasnuwara isn’t ancient Upatissagama, where King Panduwasdev reigned. 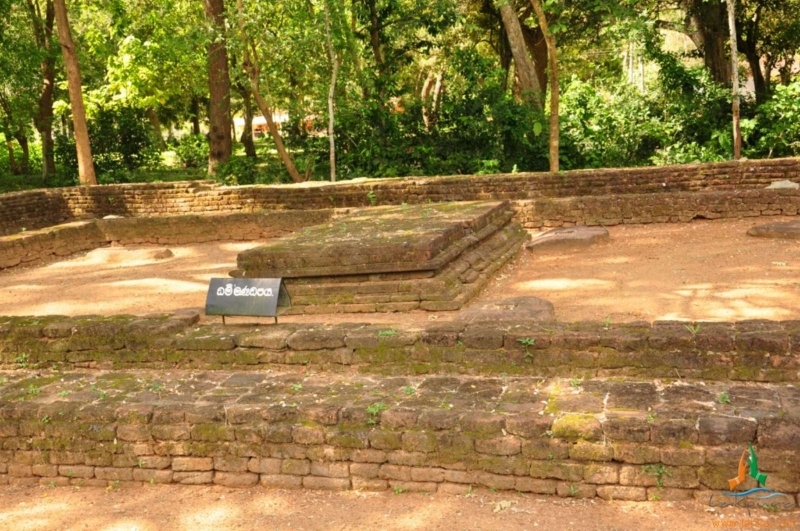 However, the popular belief is that Panduwasnuwara was the location where Princess Unmada Chithchtra was kept in a high tower away from the eyes of the men. 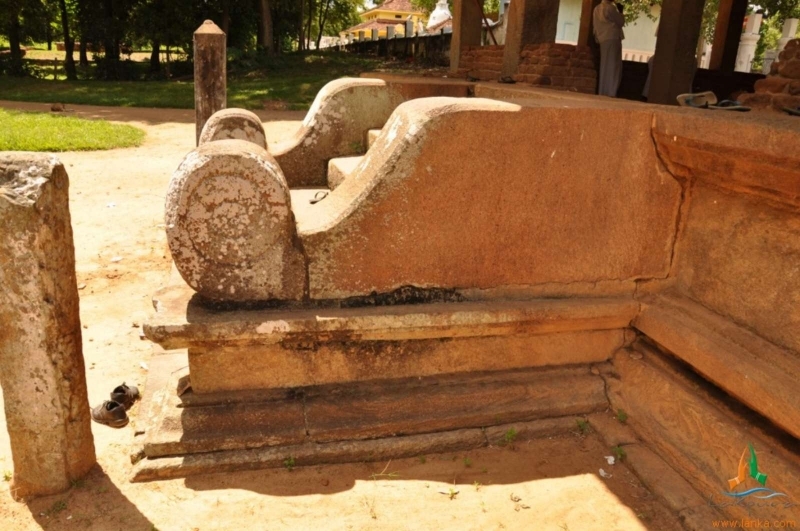 According to prophesy, a son born to her would kill all his uncles in battle and become the ruler of Sri Lanka. 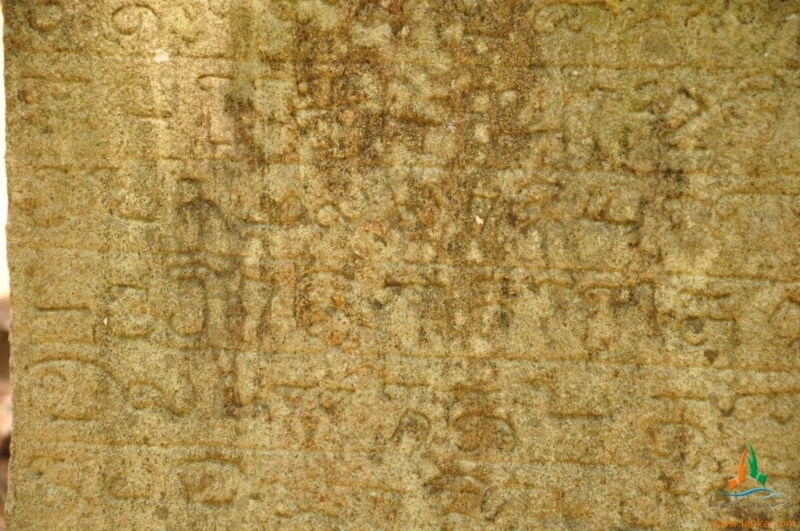 In spite of her imprisonment in the high tower called “Ek Tam Ge”, the prophesy realized. 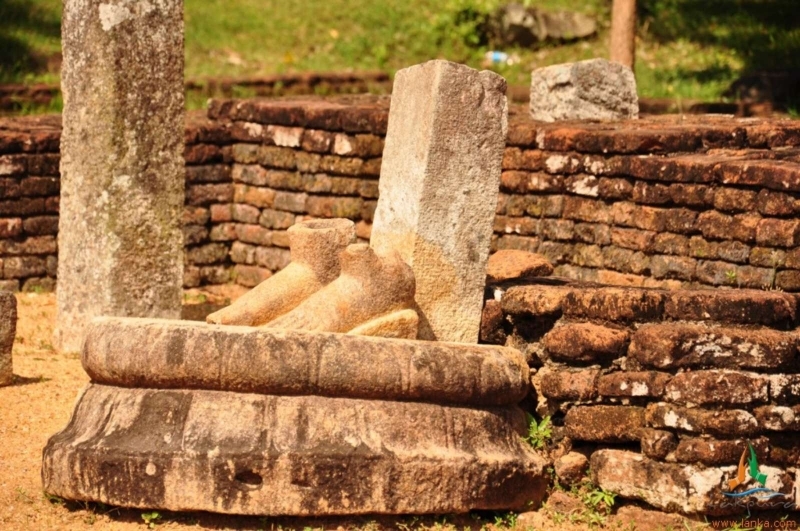 Her son, sired by Prince Diga Gamini, smuggled away from the tower at birth, survived and fulfilled the prophesy by becoming King Pandukahabya of Lanka. 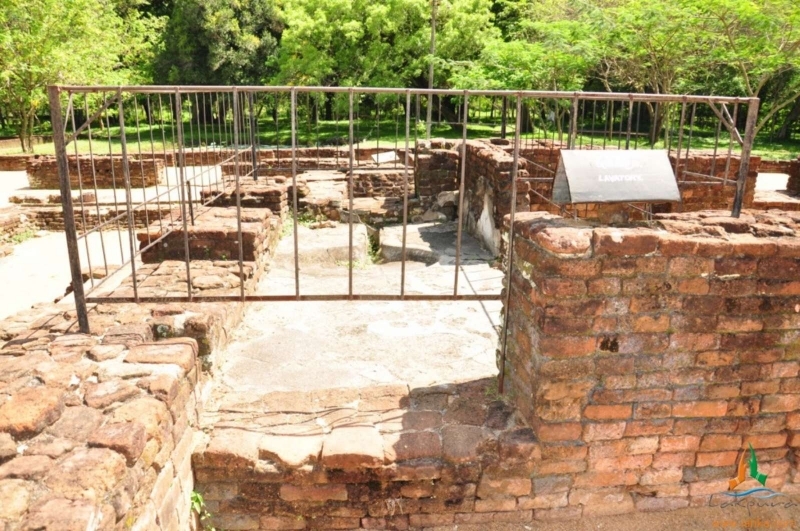 The archaeological museum here, though small, deserves a visit to witness the collection of ‘finds’ from the excavations: small statues, coins, pottery and jewellery are to name a few.